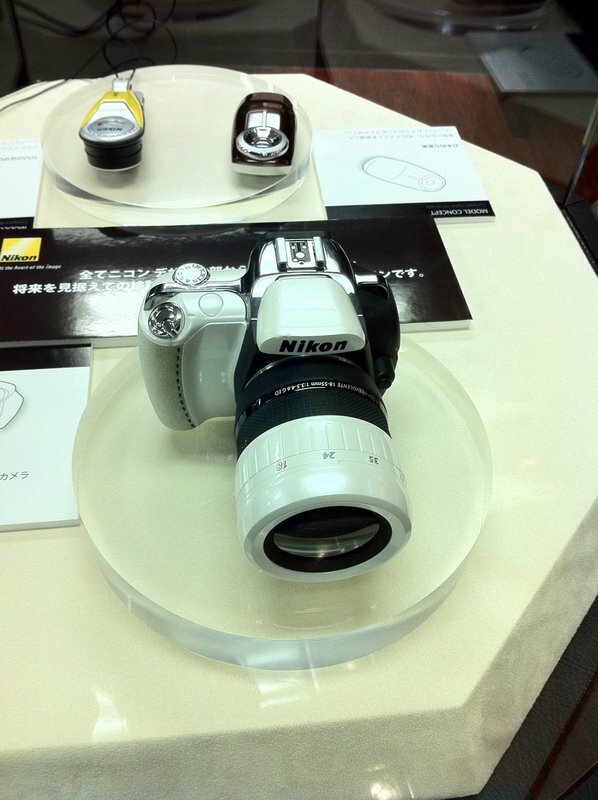 This camera was displayed at the Nikon Sapporo Showroom and the picture was just posted on DCHome forum. Is this the new mirrorless interchangeable lens camera from Nikon? The lens appears to be a 18-55mm. 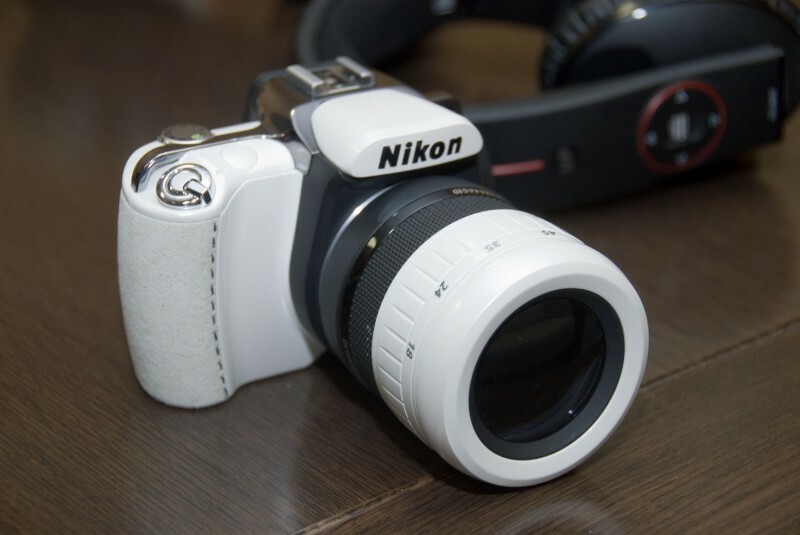 There is a also another gadget on the back - maybe a small Flip-like video cam (Nikon had few patents in the past for a similar camera). This concept model is not new. The reason we haven't seen it before is because taking pictures in the Nikon Sapporo Showroom is not allowed.